This Y/A was a fun read for me. (even as an adult) I was super impressed with the authors knowledge about horses and riding disciplines. She did an excellent job propelling the reader into the story. 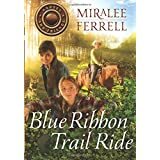 The story is about Kate and her friends Tori and Colt and their plan to host a Trail Ride to raise money for autistic children to go to a special camp just for them. Everything is going well until the money box disappears just before the event! The three decide the only thing to do is try to find it kind of Hardy Boys style as suggested by Colt. 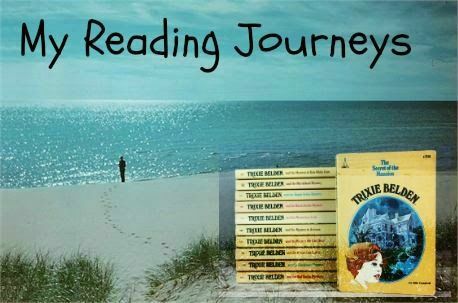 I loved the story because it reminded me of my years of reading Trixie Belden. I expected the other books in the series would be 'mysterish' storylines but they are not. What I enjoyed most about the book(s) besides the horse theme was that the author brought into the storyline some other themes/life struggles that the youngsters learned to cope and deal with. Kate learns to trust God and to ask him for direction in many situations. Sometimes only after making a few mistakes on her own. I loved the the additional 'A Little More' follow up at the end. And the 'Secrets for your diary' questions. This was an easy read. I would love to share these books with my grand children when they are a little older. I think these would be excellent books to read together as a family. This series would be a great addition to a school library. I received this book from Litfuse Publicity in exchange for my honest review. 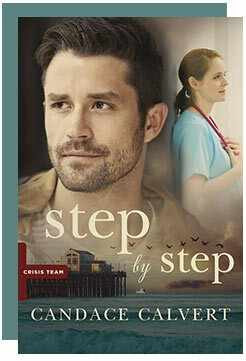 Step by Step is book two in the Crisis Team series. I was intriqued to read this book because I am a Chaplain and have had to respond in Crisis situations. I think the author did a wonderful job of weaving a fictional story into the subject. As a former ER nurse Calvert has 'real life' experience that is woven into her story lines. I loved visiting Ms. Calverts webiste and learning about her as an author. I have to agree those three phrases describe this book completely. Three years after a tragic accident left her a widow, ER nurse Taylor Cabot is determined to move on, checking off one item after another on her survival list. Her relationship with a handsome plastic surgeon even gives her hope for the last point—“fall in love again.” At least until crisis chaplain Seth Donovan steps back into her life, reawakening unanswered questions about her husband’s death. While in San Diego to train community volunteers, Seth hopes to learn why Taylor is backing away from the crisis team and from their friendship. But nothing prepares him for the feelings that arise when he sees Taylor again . . . and sees her moving on with another man. When a community crisis hits home and puts lives at risk, emotions run high and buried truths are unearthed. Will hope make the survival list? And now for my thoughts . . . The first few chapters are faced paced and drew me in. That was short lived and settled into a little routine and predictable. I began to have the feeling of there’s gonna be a bit of a villain here and began predicting something maybe a little sinister goin on. The main characters husband did die and she had questions. So why not sinister? By the half way part I was pulled into the sub characters and their separate stories. The stories wove together into the main story and kept me interested and wanting more. So much more that by the end I was wanting the story-line to continue. Admittedly there is a great ‘twist’ at the end that kind of threw me off on my predictions. Isn’t that what makes a great story? I was thrilled to see that the next installment is scheduled for the Fall. I only wish I didn’t have to wait that long! My rating . . . I rate this book 4 out of 5 stars. Mainly because I did get a little bogged down. Part way through I was waiting for something to happen. By the end I wasn't disappointed. I received this book from Tyndale House Publishers in exchange for my review. When Lucy’s secret is unearthed, her world begins to crumble. But it may be the best thing that has ever happened to her. Lucy Alling makes a living selling rare books, often taking suspicious liberties to reach her goals. When her unorthodox methods are discovered, Lucy’s secret ruins her relationship with her boss and her boyfriend, James—leaving Lucy in a heap of hurt and trouble. Something has to change; she has to change. In a sudden turn of events, James’s wealthy grandmother, Helen, hires Lucy as a consultant for a London literary and antiques excursion. Lucy reluctantly agrees and soon discovers Helen holds secrets of her own. In fact, Helen understands Lucy’s predicament better than anyone else. As the two travel across England, Lucy benefits from Helen’s wisdom as Helen confronts ghosts from her own past. Everything comes to a head at Haworth, home of the Brontë sisters, where Lucy is reminded of the sisters’ beloved heroines who, with tenacity and resolution, endured—even in the midst of impossible circumstances. Now Lucy must face her past in order to move forward. And while it may hold mistakes and regrets, she will prevail—if only she can step into the life that’s been waiting for her all along. 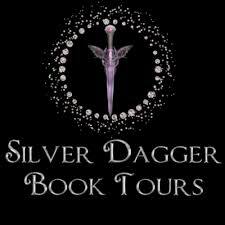 I loved what author Debbie Macomber had to say. . . "Katherine Reay is a remarkable author who has created her own stub-genre, wrapping classing fiction around comtemporary stories. Her writing is flawless and smooth. Her storytelling meaningful and poignant. You'r going to love The Bronte Plot"
This was however a bit a slow read for me. I really didn't develop a strong attachment to the characters. I really wasn't sure how I felt about the characters. It was kind of a heavy read. If your a lover of classics and literature you'll enjoy this book. For more information about the author and her other books click here. I was offered this book for review by Harper Collins Publishers and Book Look in exchange for my honest review. I was excited to see this book offered for review. I couldn't wait till I received it! And, I was not disappointed. a rooftop garden but the information I think can be used when planning a container garden or patio garden. From the inside cover . . . If you'd like to grow your own food but don't think you have the space look up! interviews, expert essays and farm and garden profiles from across the country . . .
And there are lots of pictures! I enjoyed looking at the different profiles of different gardens. Many of the gardens featured were from restaurants. There are lots of charts and how to's providing information and making it simple to plant a garen. For more information about the author . . . I enjoyed this book and would recommend it to anyone interested in vegetable gardening. Check out this 5 star book! This book is available at Amazon, Barnes and Noble and from the publisher click here. I received this book from Blogging For Books for my honest opinion. Oh my goodness! Turn the oven on! Are you seein' what I'm seein'. 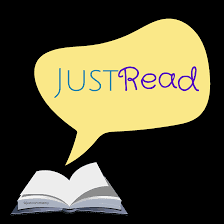 How about a peek at the authors blog . . .
Click on the source for a direct link with the recipe! This one is on the blog too with a tutorial. Here is the very talented author . . . Here's what the author says about the book . . . The book, Layered: Baking, Building, and Styling Spectacular Cakes, is all about - you guessed it, CAKES! Layer cakes, to be exact. I've packed 288 pages full of my all-time favorite recipes, tips and tricks from my years making cakes, and some crafty tutorials so you can make bakery-style cakes at home! From the classics like Red Velvet and Boston Cream Pie to more whimsical and adventurous flavors like Strawberry Confetti, Mango Coconut Cream, and Red Wine Blackberry, there is a recipe for every occasion. I've added some helpful step-by-step photos as well as a stylish, full-page image (or two) for EACH cake. I don't know where I've been but this talented young lady has been published in magazines since 2008. Here's the link to the press page with all the articles. And another author said . . . There is some bad news though . . . The book doesn't come out till April 19th. Oh man, go and turn off the oven for now. So I'm thinking the perfect Mothers Day gift. I know my mother would love this cookbook. And my daughter even though she rarely cooks or bakes she's like me she dreams of finding the time. The fine print....I was offered this book through NetGalley for my honest review. Unfortunately I was not able to open the document on my phone or my Kindle. Always Watching is Book 1 of a new series by Lynette Eason. It's fast paced and suspenseful and a thrilling story to read. From the back cover . . . Intensity. Skill. Tenacity. "Lynette has written another fast-paced book--lace up your tennis shoes and grab a water bottle. It's a race against death." "Eason's Always Watching had me 'always reading' until I devoured it. Riveting suspense, complex characters, and a twisty, turning plot kept me up until I finished it at 2 a.m. This is one of the best romantic suspense novels I've read in a long time. Highly recommended!" Super fast paced. The plot was full of twists and turns. Kept me on the edge of my seat. This romantic thriller keeps you guessing at each page turn. I actually thought I knew who the villain was. But I was dead wrong! 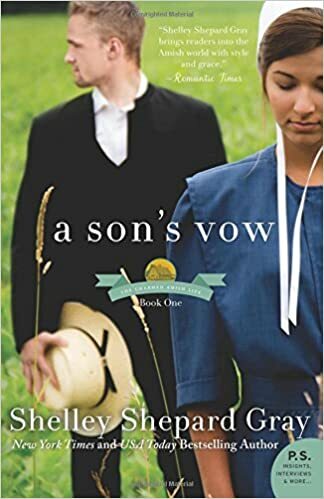 Eason does a great job of weaving the subtle romance and the challenges the characters face with their faith beliefs. Available at Amazon, Barnes and Noble and Christian Book (dot). This review is linked at these retailers and on Good Reads. Book One of The Charmed Amish Life a series taking place in Charm, Ohio a fictional little town. The book is complete with a fun little map in the front. I caught myself looking over the map as the story progressed. Book One is the story of a romance between Darla and Lukas. They've known each other all their lives growing up as best friends but when a tragedy strikes the town they drift apart. This wasn't a story that I felt 'I knew what was going to happen'. In fact I was pleased and surprised. I had it all figured out based on the title and boy was I wrong. Isn't that what makes a good story? I want to know what happens with the sub characters like Hannah that worked as a nanny for an 'English' couple. And the dog Rose that lived in the neighborhood where Hannah worked. I look forward to the installment that tells Hannah's story! On the negative side. Yep there is one. It's personal but I still want to include it. Get it said and be done with. Personally I thought the inclusion of the Amish words was annoying. Whew I said it. I might be the only one that feels this way. But I personally didn't think it added to the story or to the realization. I haven't been around the Amish and I might be totally off here. But I think one word here and there was just annoying. Personal opinion. One more negative for me. And it's not really negative exactly . . . There was one point in the story. A little mystery that was hinted at but didn't get solved and isn't really mention as if it will be solved in follow up stories. I don't want to give the storyline away. But I'm just wishin' to find out what happened! All in all. This was a great book. I started it couldn't put it down. To me that's a good read. So here's my 4 stars for A Son's Vow. Here's the fine print . . . I received this book from the Litfuse Publicity Group for my honest review.